City of Saint John the First Municipality in Atlantic Canada to Adopt Wood Mid-Rise Construction – Atlantic WoodWORKS! OTTAWA, Thursday, March 9th, 2017 – The Canadian Wood Council (CWC), along with Atlantic Wood WORKS!, congratulates the City of Saint John on its decision to adopt the 2015 National Building Code provisions to allow wood mid-rise (5- and 6-storey) construction. 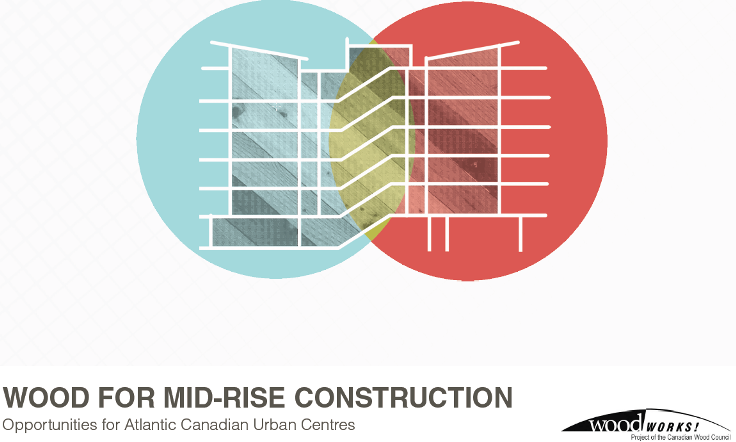 Joining the list of other jurisdictions such as Québec, Ontario, Alberta and British Columbia, Saint John is the first Atlantic Canada city to make the decision to provide builders with a new construction choice for taller mid-rise buildings that should also increase affordability. Interested in learning more about wood mid-rise? Visit www.woodfacts.cwc.ca. The Atlantic Wood WORKS! is a non-profit program that partners with governments and industry to expand the use of regionally produced wood products in non-residential and multi-family construction markets by providing technical support, hosting educational events, and promotional services.